Yes you can sail in SL. 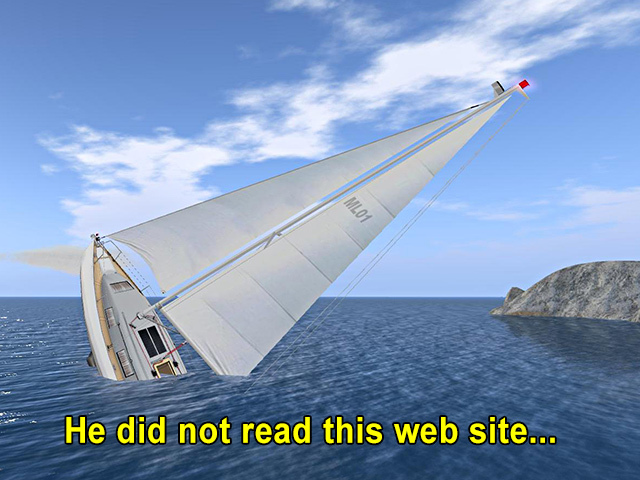 Perhaps you already bought a boat from one of the many boat builders in SecondLife and now you want to use it. Or perhaps you did not buy one yet, but wonder if its any fun doing so. Or you like the idea but doubt if you be able to sail properly without killing people. 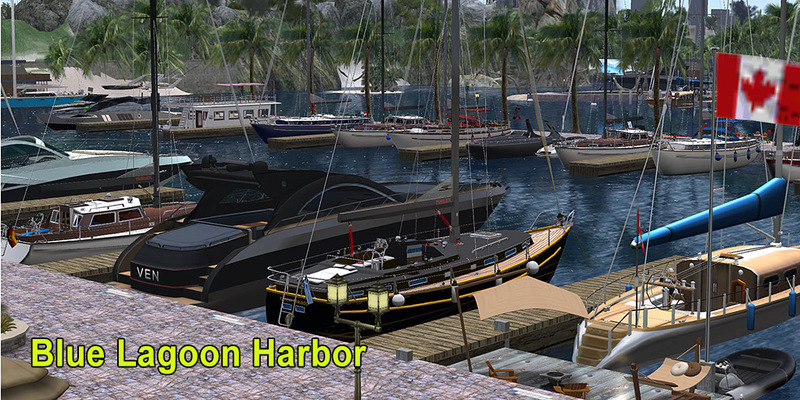 Perhaps someone told you sailing in SL is fun, or you saw people doing it, or you noticed one of the many yacht harbours, or visited one of the many houses that have boats parked outside. Either way, you got the feeling its possible to use a boat in SL, and you are right, sailing is one of the best kept secrets in SL. These web pages may help you to get a better understanding of sailing and boating in SL and also teach you a few tips and tricks which even the more seasoned sailor does not know about. Being Dutch I am rooted in an origin of sailing. Sailing, also called yachting, has been practised since antiquity as a means of transport. In the modern sense, yachting probably originated in the Netherlands, and the word seems to come from the Dutch “jacht” or “jacht schip,” a light, fast naval craft. I also have many years of experience in RL sailing and yachting. Yes, I can talk about myself for hours :). 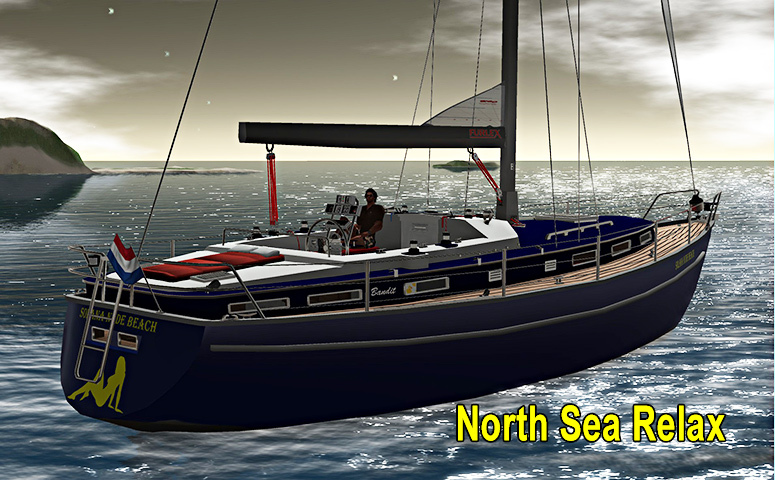 Of course the content of this web site is based on my own ten odd years of experience in SL sailing and is therefore necessary limited and sometimes biased of course. Still I have tried to write in an objective way about SL sailing with the beginning sailor in mind (the majority in SL). If you feel there are mistakes, omissions or otherwise want to respond to the content with an opinion or question, feel free to use the contact form and I will try to respond to it. Me in my Bandit 60 with in the background Crows Nest in Blake Sea. 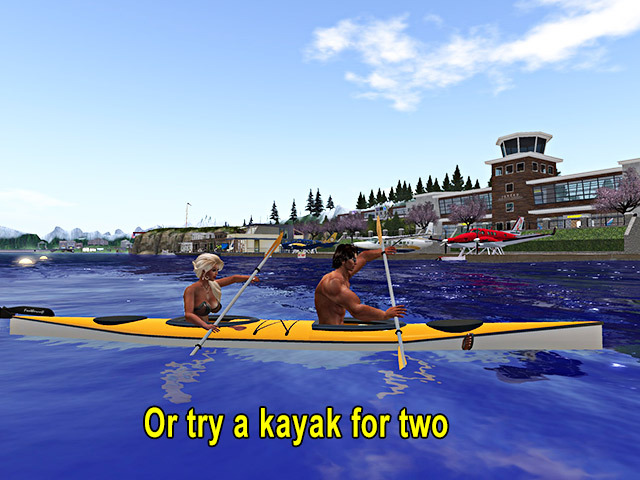 I myself discovered SL sailing back in 2008 because I rented an island and someone explained that having a boat is fun. So I went to Jacqueline Trudeau’s shop, one of the more notorious ship builders at the time, and bought the wrong boat (Tradewind). But it looked great. Why was my purchase wrong? Not because it did not function, but because it was way over my head. I had no clue how to operate it and had many other problems finding my way into sailing. Since then I learned a lot and met many people who had similar problems and supported them to get started. With this in mind I created this web site. There exists many other web sites about SL sailing, but most are for the more experienced people, or are aimed at club members, racing results, but not so much aimed at the beginner. Elsewhere I have listed most of these sailing clubs and their web sites in case you want to browse around. There are no monetary objectives with this site, I don’t sell boats or any sailing goodies. I added the option to respond at the bottom of every page in this site, feel free to do so, or ask questions, I will try to answer them or try to point you into the right direction. These days sailing boats are much easier to handle than a few years ago. Its no longer a thing for the elite, the pros who probably learned it in real anyway before they sailed here in SL. Also there are many levels in sailing. Ranging from the majority who simply buy a boat because it looks fun and take it out with some friends, or just park it near their house as decoration, to those who never miss a race. 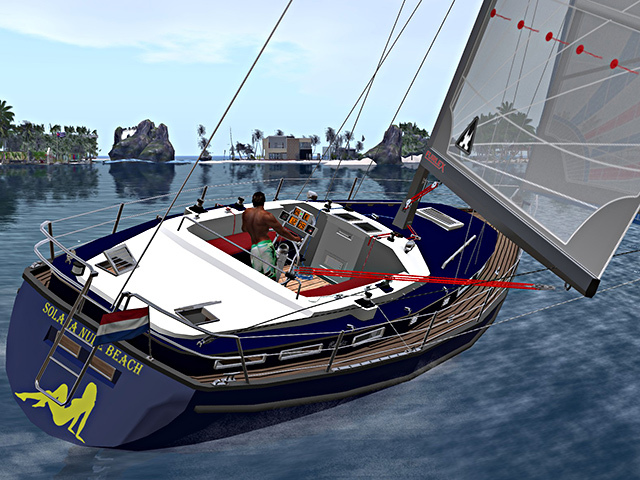 Sailing is also a perfect way to socialize in SL. Be it in a harbour or marina or simply meet others who watch a race. My guess is that sailing is one of the biggest social communities in SL. And lets be grateful for the founding fathers (and mothers) who back in 2008 undertook the effort to create together with linden Lab the United Sailing Community. Most notably MarkTwain White, Sudane Erato and Nber Medici… chapeau. 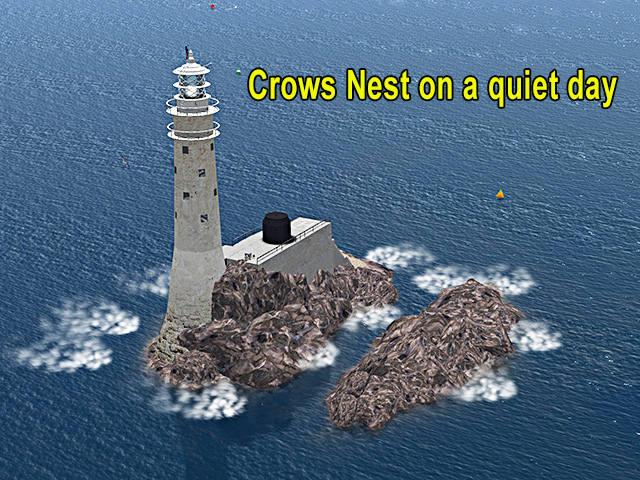 This web site is meant to give an average beginner in sailing some basic understanding of the world of sailing in SL. Its NOT meant to teach you to do racing in SL, that’s an all together different story. Although you may sooner or later try it. Many sailing clubs organize weekly races. I myself have organized weekly sail races in Fruit Islands since 2015. 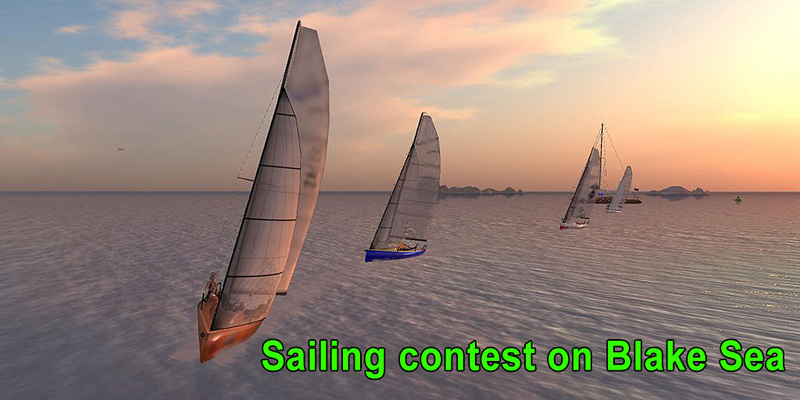 This link to Fruit Islands racing gives you much information on Sail boat racing. To give you an idea of the popularity of sailing events in SL look at this calendar. I also added a page with the rules of SL racing as laid down by Nber Medici, it may help you to better understand what is going on when watching a race. Today there are dozens of ship builders, even I dabbled in this building myself (no, I don’t sell boats) and by doing learned a lot about the mechanics involved. So what should you buy, where to begin? Boats are expensive from a SL standpoint, you don’t want to waste money. Suppose you bought a boat, the first thing you want to do after unpacking is rezzing it in water. First problem arrives, where do you find water where you can rezz a boat and do any meaningful sailing? I will talk about that problem later. There are three main categories of boats in SL. Those boats who use wind, those who don’t and have an engine to move and those that do both. The differences are important to understand before you buy one. Often beginners feel that sailing is too far fetched and decide for a motor yacht, not knowing that sailing ships often have both functions build in. Of course the look and feel of a boat is a deciding factor in a purchase. its important you acquire a boat that suits your taste and needs. So I will look at the different kinds and their pros and cons, also from a design and usability standpoint. Your next problem is how do I operate that boat. Not all boats are build equally. In fact there are many differences, depending on the likes and abilities of the designer. If you are lucky there is a properly written owners manual, but not every designer considers that a vital part of his or her work. So I will talk more about the different operating aspects and how to best deal with it. After you have mastered sailing a bit and proudly sail the Seven Seas, you may want to the change the look of your boat. A name on the backside (the stern) for instance, or the name of the harbour where its normally parked, or a different hull colour or perhaps a logo that shows your other interests. Some boat designers supply all the graphics used, so you can in principle re-texture your boat with that, using those textures as a basis for your own design. I will describe the pitfalls and need-to-knows for re-texturing. If you not into this yourself, take a look at Ali’s Boat Paint Shop. She made many nice textures for the more popular boats in SL. Another aspect in sailing is a proper use of your viewer. The most important instrument any sailor needs is the mini map. So how do you set your viewer, how do you learn to sail and even enjoy the surroundings and chat with your on board friends. Using your keyboard and mouse properly. All of these aspects we will look at. 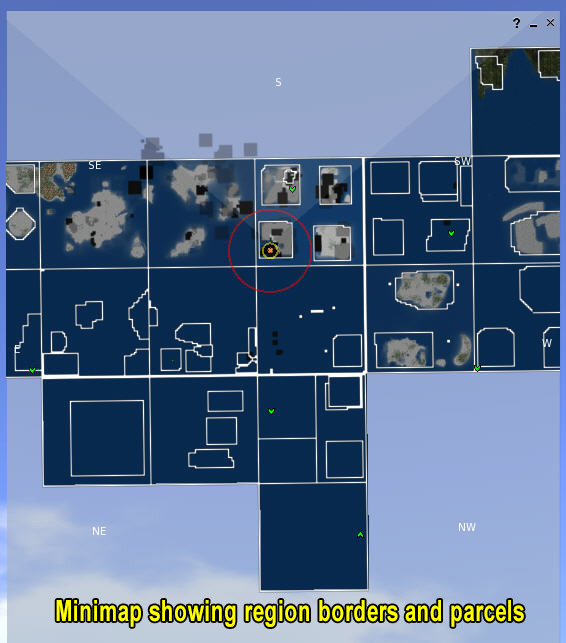 Finally, how do you create an easy access to your boat(s) without every time going to a rezz place and drop your boat from inventory. In other words, what are the options to rent space in a marina or harbour and in which areas in SL do you find good deals. Of course parking cost money, it does not come cheap, but its nice to have your own little spot, a kinda mini house. I will talk about the pros and cons.